Wooden wardrobe designed for bedroom . 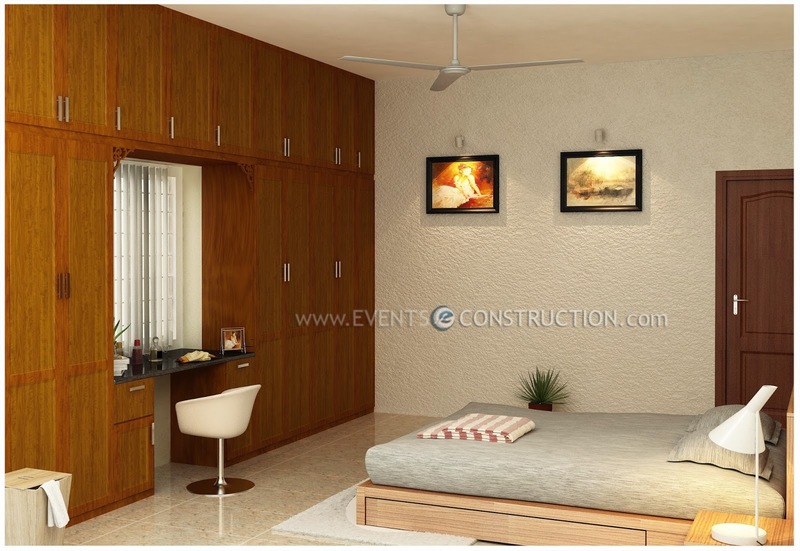 Six door wooden wardrobe with dressing area in middle . light textured wooden cot and cabinet .